Welcome to Hvar, one of the 10 most beautiful islands in the world, with crystal clear sea, an archipelago full of islands to visit and above all, a city that offers many attractions for tourists night of all ages, for your perfect holiday full of relaxation and fun. 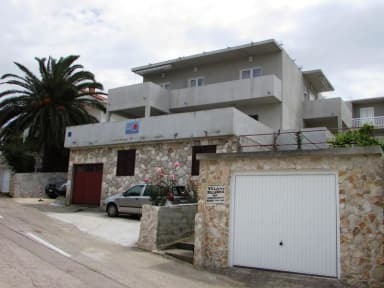 If you are looking for quality accommodation, with fantastic hosts, with panoramic views from the terrace overlooking the sea, in a quiet area just 10 minutes walk from the center and from the most famous nightclubs like Carpediem Hulahula Veneranda, a few steps restaurants in the city center, 100 meters from the larger beach of Hvar, you have chosen everything you need. The young staff with fresh atmosphere, to explain in English how to spend your holiday advising you to spend unforgettable moments for both relaxation and fun. 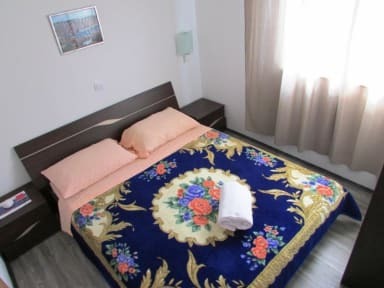 We offer apartments and rooms in a modern and fully equipped and Wi-Fi in every room 24 hours. All guests staying at Villa Paladina have the staff always available and can relax in the beautiful terrace and enjoy the wonderful view of sunrise and sunset over the sea. Villa Paladina offers better value for money with many services available. Our local staff, provide the best advice on what to see and where to go. With over 8 years of experience we will make you feel welcome and all are sure to have the best possible stay in Hvar. Our free maps of the city and travel information will make you go in the right direction.